In a new twist to the ongoing saga, England batsman Kevin Pietersen has been accused of sending text messages to South African players calling Test captain Andrew Strauss a ‘dumb c***’ and also telling the them how to dismiss him. 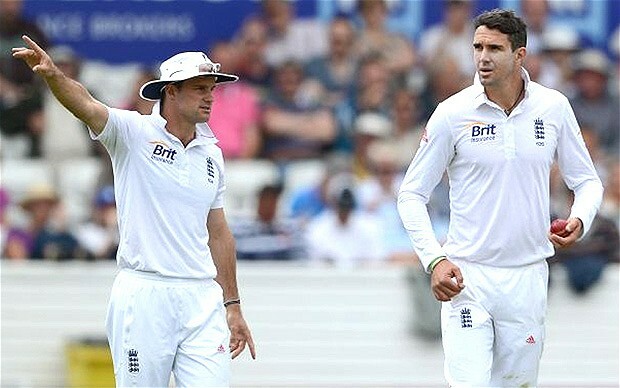 According to the Daily Mail and Sunday Times, Pietersen sent one text message during the second Test at Headingley to the South Africans which stated that they should bowl round the wicket in order to remove Strauss early in his innings. South African speed demon Dale Steyn used this tactic to remove Strauss in the first innings of the second Test, while Morne Morkel did the same thing to dismiss Strauss during the first Test at The Oval. Pietersen also allegedly sent a series of vile texts, which contain derogatory insults about Strauss, including one which branded him as a ‘dumb c***’. Even though Pietersen issued a sincere apology about the text messages, he will not be considered for selection ever again unless he reveals the full contents of the messages he sent to the South African players. It is understood that Pietersen sent the text messages to Steyn and wicketkeeper batsman AB de Villiers, who both admitted that they were “embarrassed” about being in contact with Pietersen during their recently concluded Test series. This entry was posted in Uncategorized and tagged AB de Villiers, Andrew Strauss, cricket, Dale Steyn, derogatory insults, embarrassed, England, full contents, Kevin Pietersen, Morne Morkel, saga, selection, sincere apology, South Africa, vile texts. Bookmark the permalink.